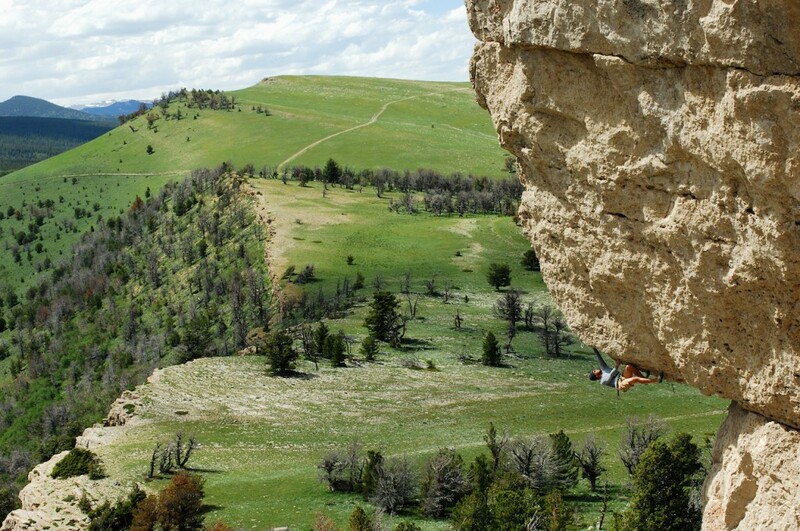 Wind River Country, WY – National Trails Day was June 1 — but who needs one day to enjoy the great Wyo? Hit one of many great trails in Fremont County, depending on access due to the spring snow conditions. Keep reading on for lots of Wind River Country info! For road bikers, there are a number of loops that can be made through Wind River Country ranging in length from the leisurely 13-mile Squaw-Baldwin Creek loop popular with the lunchtime crowd in Lander, to a 100-mile circuit that links Lander, Riverton, and Sweetwater Station. Highway 287 from Togwotee Pass through Dubois and Lander and then on to Rawlins by way of Jeffrey City and the Sweetwater Rocks area is part of the TransAmerica Bike Tour Route, a 4,247-mile transcontinental bike route established for the Adventure Cycling Association’s celebration of the U.S. bicentennial. The route, which continues to be the most popular way to cross America by bicycle today, includes ocean coastline, lush forests, high deserts, mountain passes, snow-capped peaks, sweeping vistas, fertile farmland, rolling hills and wide rivers. Transcontinental riders are frequently seen traversing Wind River Country along this route every summer. 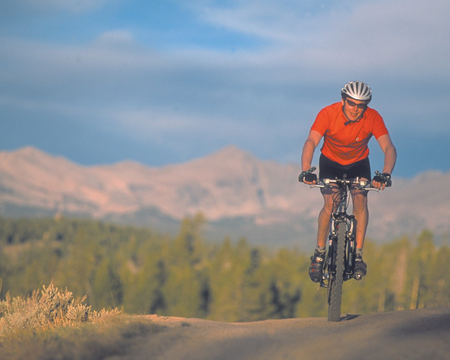 For bikers who prefer dirt to pavement, many of the trails that traverse Wind River Country’s millions of acres of public land are multiple use and open for mountain biking. Recently the Lander Cycling Club with the help of the Lander District BLM, and the Wind River Backcountry Horsemen made major improvements to the parking lot at Johnny Behind the Rocks (JBR). Since the Loop Road will be closed, at last notice, until June 7 now is also a great time to ride the road bikes up the switchbacks without the worry of cars, trucks and campers. The pedal up is mostly on moderate grades and the descent is exhilarating! Bring a jacket and make sure your brakes are properly adjusted. Bikes and hikers must yield to horses: stop, step off the trail and talk to the horse and rider in a calm voice, loud enough to be heard. The horse will recognize you as a person not as a strange speeding object that triggers the horse’s flight instinct. Check in at Bob`s Bike Corral in Dubois, Out Sportin’ in Riverton or Gannet Peak Sports in Lander for ideas on rides. You’ll find there’s something suitable for all ability levels from easy two-track tours in the desert, to technical challenges on rocky terrain in the mountains. There will be a trail work day on June 15 with the US Forest Service (USFS) to start a new trail in Sinks Canyon. Matt Walters of the USFS planned the new trail to be multi-use and should also give Lander another Cross Country ski trail in the winter. When completed the yet to be named trail will make a connection from the warming hut trails to Fossil Hill and give non motorized users a way up without being on the road. 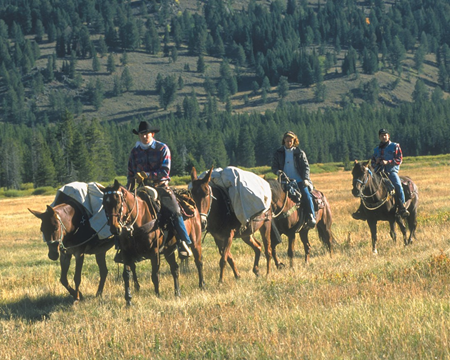 If you prefer to celebrate our trails on horseback this year, there are twenty-five Dude/Guest ranches and backcountry outfitters offering all kinds of riding options from short day-trips to week-long stays. Check out the entire list available inWind River Country. There are two accredited Volksmarches in Wyoming’s Wind River Country. In the spirit of European noncompetitive hikes through gorgeous country settings, the American Volkssport Association Volkswanderung, German for “people’s walk,” began more than four decades ago to promote health and fellowship. The walks are not races, and they are designed to accommodate walkers of all athletic abilities. Another short hike in the Shoshone National Forest with a variety of scenery is the 4.4 miles (round trip) trail to Lake Louise south of Dubois. The hike begins at the Trail Lakes and Glacier Trail trailhead parking lot. This popular, moderate hike starts off in a desert-like area but quickly changes to mountain vegetation ending in a zone of granite outcrops-perfect Bighorn Sheep country. Plan to spend some relaxing time at this destination – an alpine lake framed by peaks and cliffs. For serious and experienced back country hikers, The Cirque of the Towers is a remote, strenuous but impressive 16-mile hike from Big Sandy Trailhead into the heart of the southern Wind River Range and the Bridger Wilderness. There’s an option to take a shorter hike (11 miles) to Sandy Lake. The lake trail parallels the Big Sandy River so plan on fishing during your hike! If you continue on to Jackass Pass, where you will view the Cirque of the Towers, you will travel a very rocky steep trail. It will be worth it though as you enjoy one of the most spectacular alpine scenes in the US! A fun, easy hike near Lander in the Shoshone National Forest brings you to the glorious Popo Agie Falls. The short trail, 3 miles (round trip) starts at the beginning of the Loop Road at Bruce Picnic Area and follows along the Middle Popo Agie River. Once you reach the falls, there are more paths to explore before you unpack your picnic. An even easier hike, 1.4 miles (round trip) with big views is Blue Ridge Lookout off the Loop Road through the Shoshone National Forest. 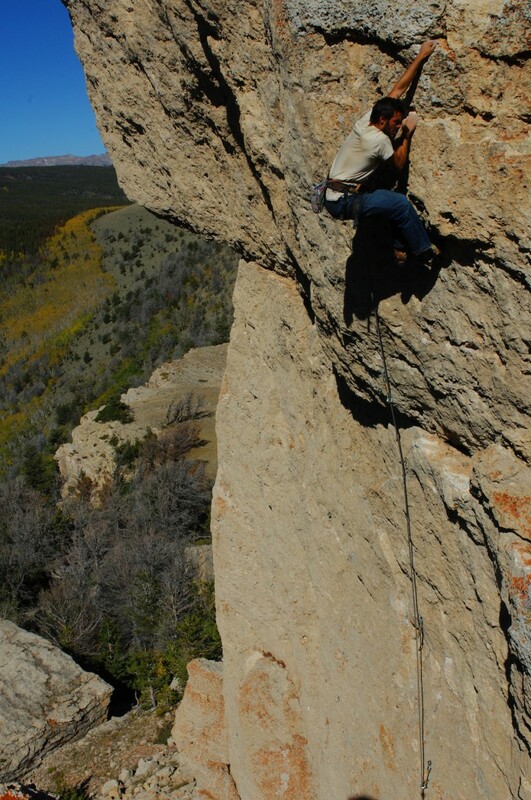 Here, at around 8000’, you can admire the southern Wind River Range, and to the east, the high Wyoming plains, plus Fiddlers Lake and the Absaroka Mountain Range. Hikers should have a good map, sunscreen, basic first aid kit, bear spray, wear good shoes and a hat, carry water and snacks, be bear-aware and consider the elevation and weather as they travel in the Wind River Country’s high-altitude beauty. Contact the Shoshone National Forest offices in Dubois and Lander, and the Bureau of Land Management offices for maps and local information about the trails before you head out. Some trails in Fremont County can also be used for ATV riding. The trails present challenges to the seasoned ATV rider along with pleasurable, scenic riding for the beginning and leisure ATV rider. Through-out the State of Wyoming, several beautiful places have been designed for some very relaxing and enjoyable off-road riding. Check for rules and regulations on public lands. To learn more about what Wind River Country has to offer, or to request a vacation packet, please visit us at Wind River Country or call 800-645-6233.